Starting off with my favorite, Kagamin. She is dressed in her winter serafuku and is in the process of brushing back her famous twin tails. 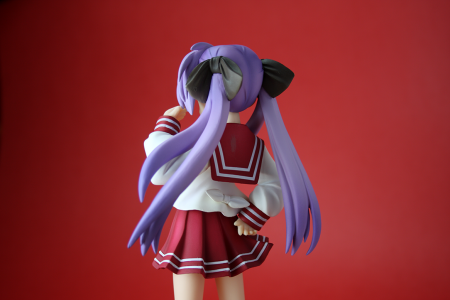 Hmmm, I wonder why Kagami chose that dark brown color her hair ribbons. 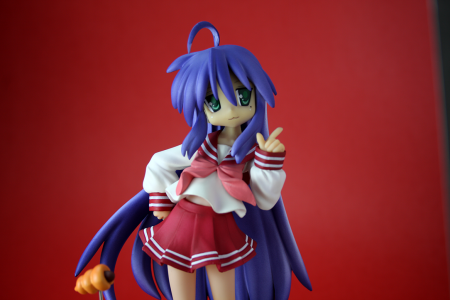 Ah well, she makes them look cute anyway. 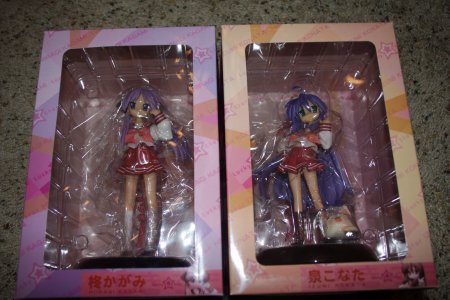 Both of these figures were released in late January but due to me being cheap and using SAL, I received them a full 2.5 weeks later orz. 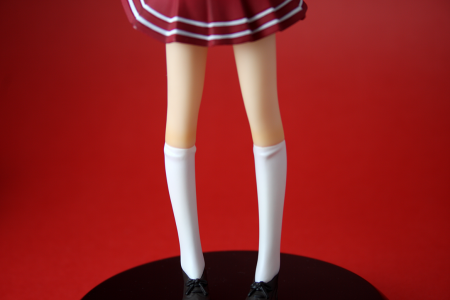 I like the detail on her socks with the slight wrinkles on the top. Full body view. 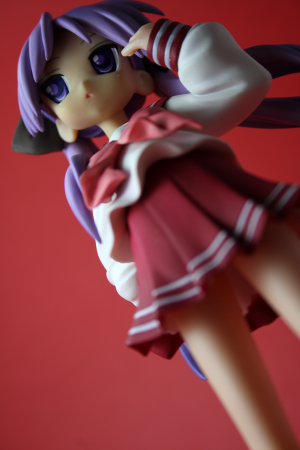 She’s quite tall. The proportions are a bit more realistic than in the anime. 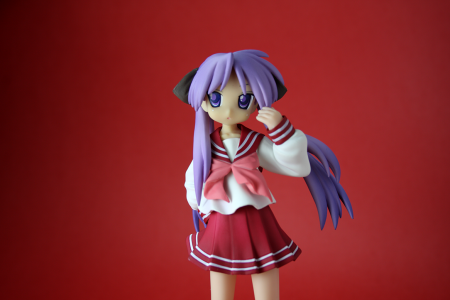 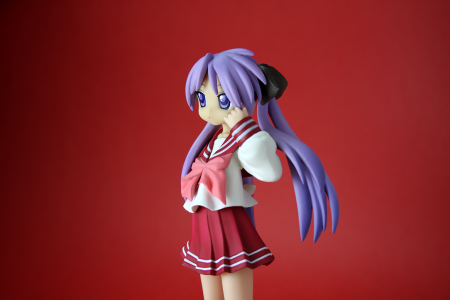 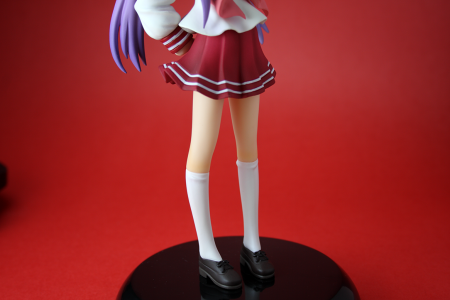 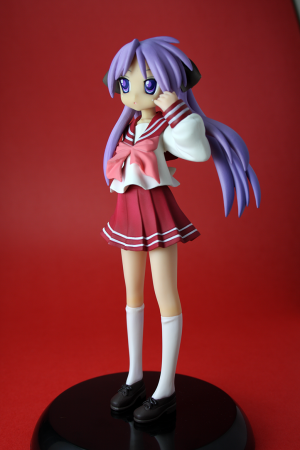 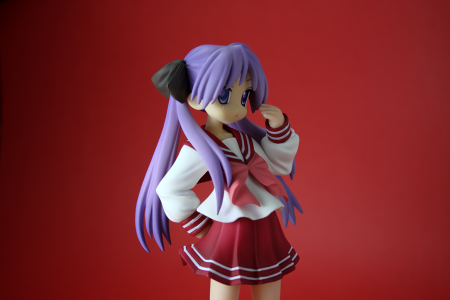 And that’s it for Kagami :) Up next is Konata. 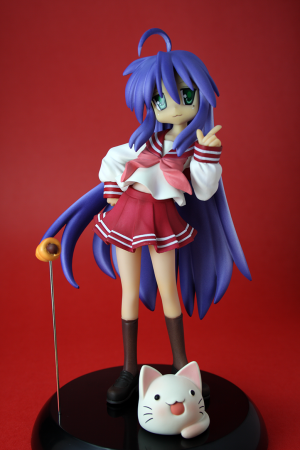 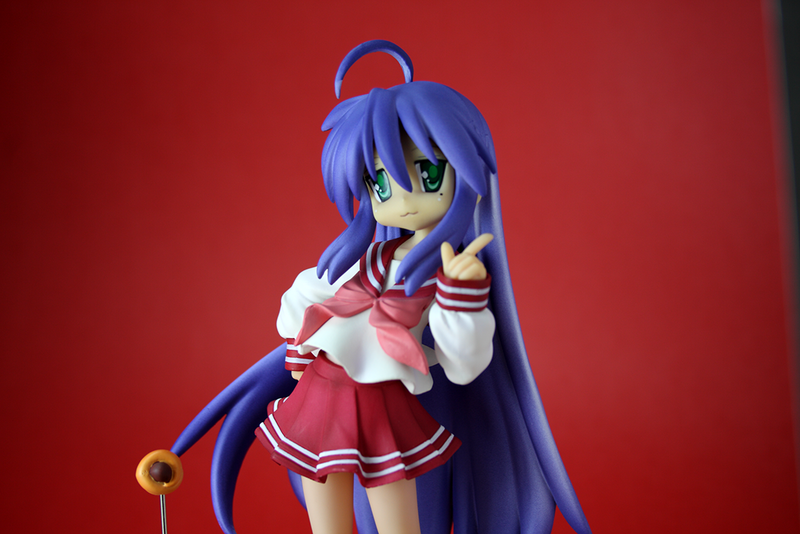 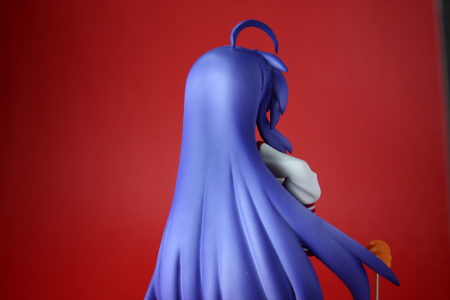 For some reason, Konata comes with two accessories. 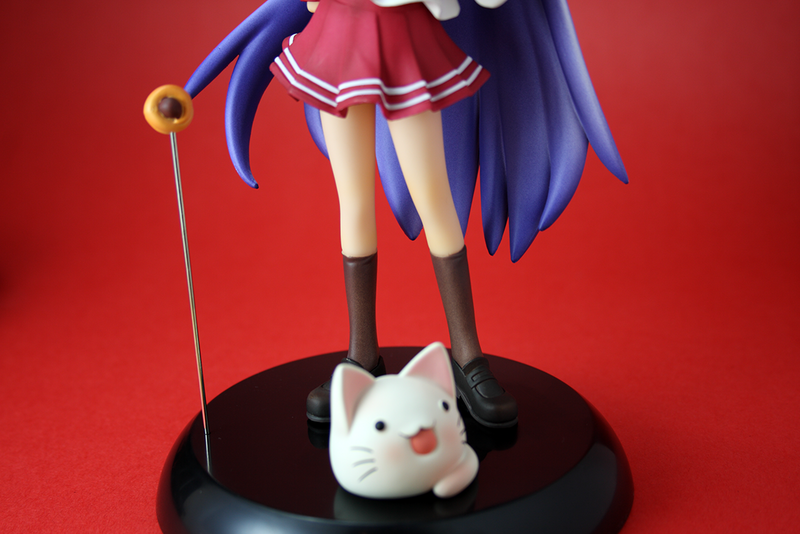 A choco cornet on a stick (^^;) and that round cat thing. 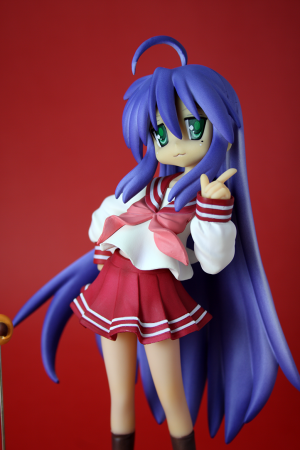 Full body shot. Not quite as tall as Kagami but still a good height. 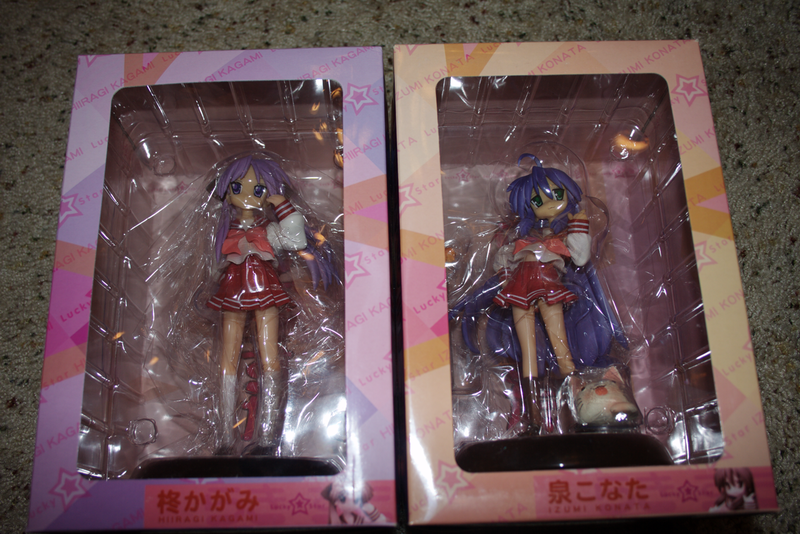 The two together at last. 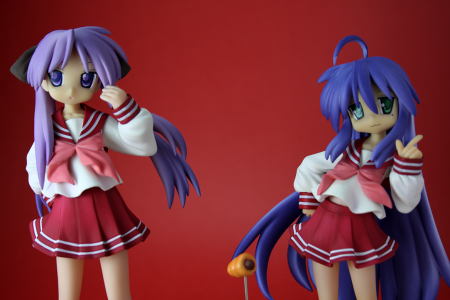 The difference in height is apparent here. 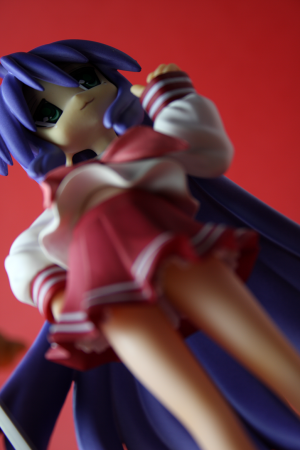 I have to assemble a lighting rig like that sometime too. 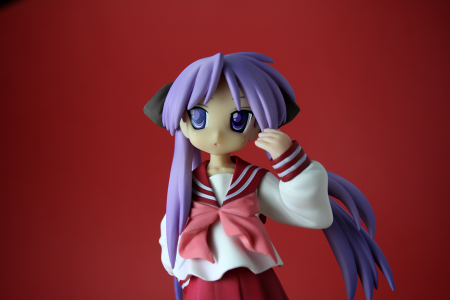 The effect of your setup is good, good all round lighting and shadows. 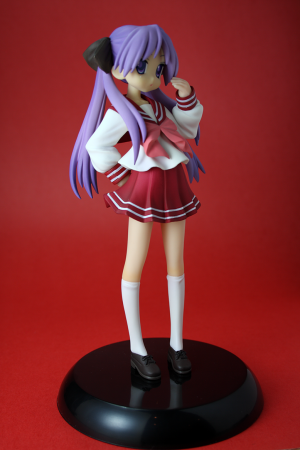 Not sure if I’ll grab Clayz “Lucky Star” figures, no “Lucky Star” figures really wowed me yet.